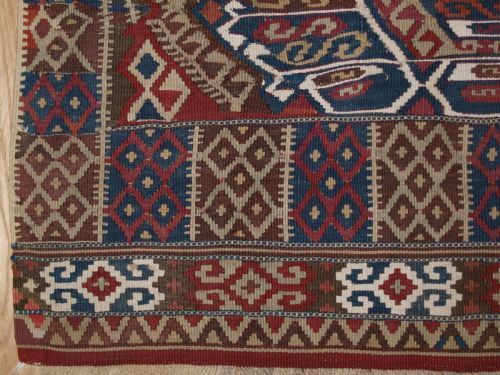 Antique Turkish Malatya Kilim Bag Or Chuval Face, Excellent Condition, Circa 1900. 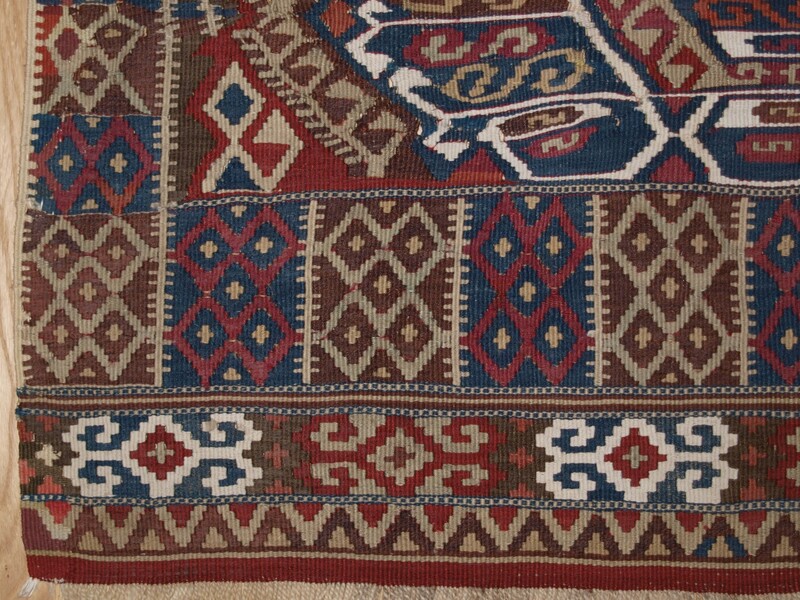 Size: 3ft 5in x 2ft 7in (104 x 80cm). 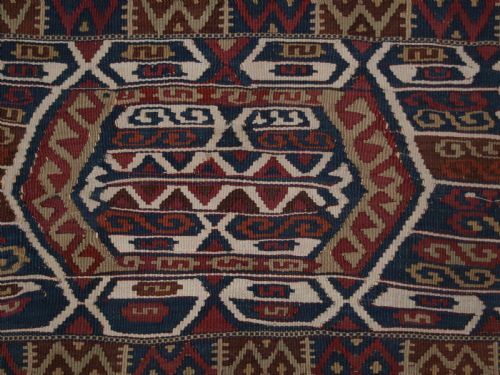 Antique Anatolian Malatya chuval (storage bag) face. 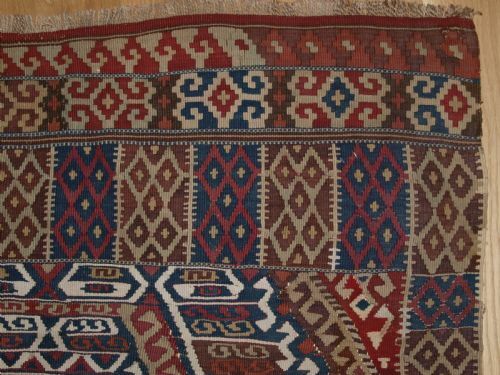 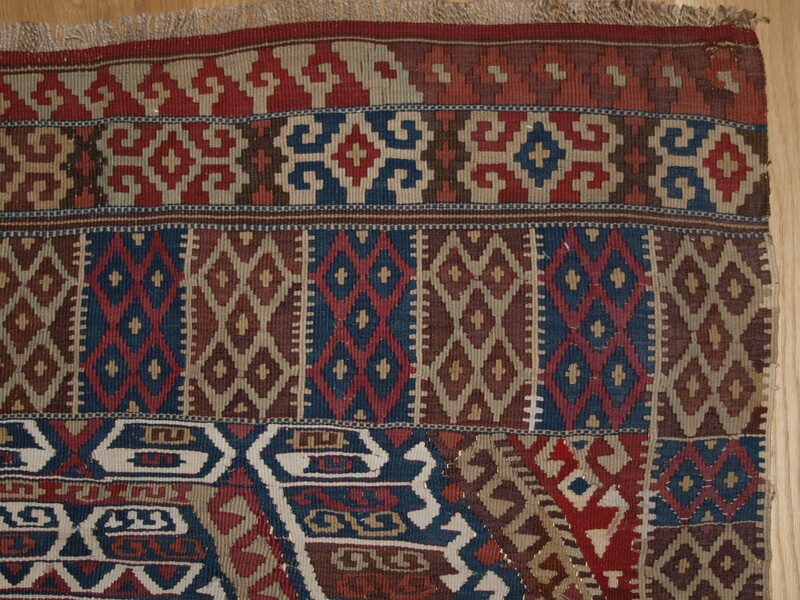 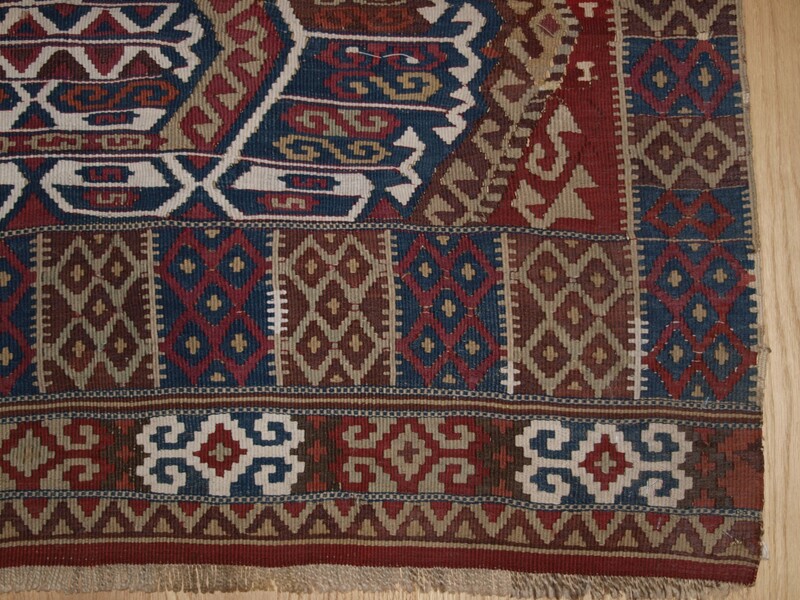 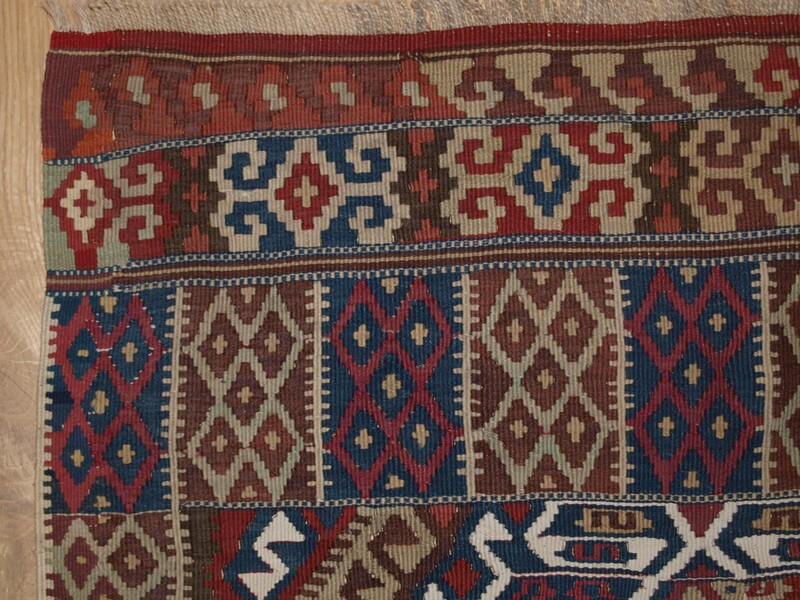 A good example of a Turkish Malatya region chuval in kilim style flat weave. 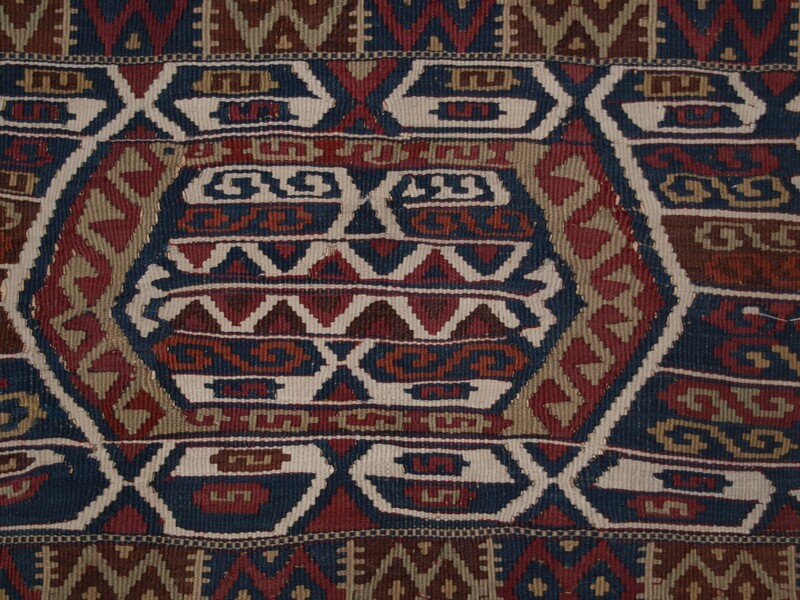 The chuval face has natural dyes and is of a classic design from the region. 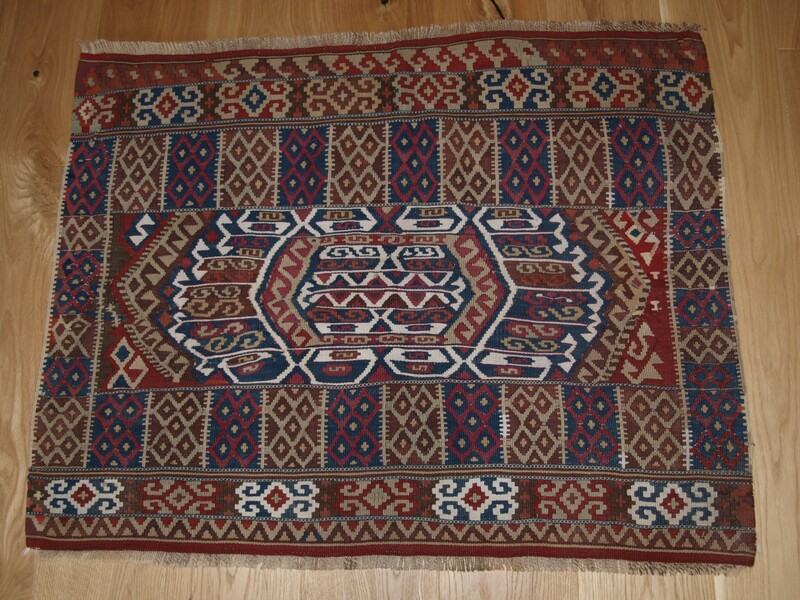 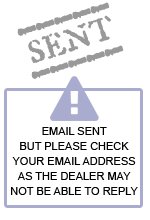 Excellent condition, suitable for light domestic use. 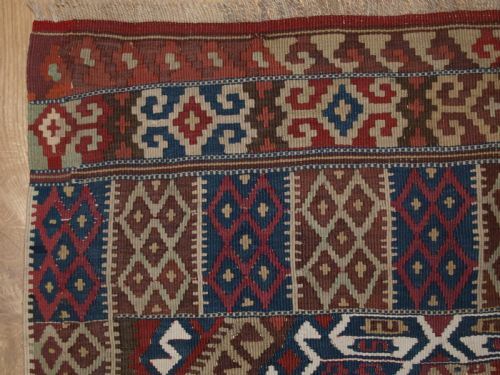 The ANTIQUE TURKISH MALATYA KILIM BAG OR CHUVAL FACE, EXCELLENT CONDITION, CIRCA 1900. has been added to your saved items.